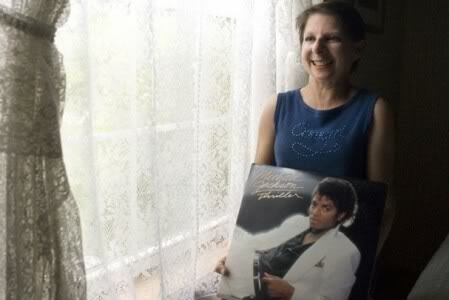 Leslie Robinette was 6 years old when she first met Michael Jackson. An ailing little girl with barely any hair and a swollen stomach, Robinette suffered then, as now, from aplastic anemia caused by the genetic disease fanconi anemia, which she describes as being «like a little Pac-Man going after all your bone marrow.» Robinette received a bone marrow transplant, which at the time was an experimental surgery. She was one of the youngest to ever have the procedure. She went through chemotherapy, radiation and an ever-changing plethora of medications. But worst of all, she was kept in isolation for three months. She spoke to her sisters through walkie-talkies, and only her mother was allowed in the room. Doctors told the family they had done all they could do, but her condition just wasn’t improving. «After you go through all of that, you just get tired and want to go home; you kind of give up the fight,» Robinette said. On March 7, she received her first visitor. «I was sitting in my room looking out the window, ironically listening to ‘Looking Through the Window’ by the Jackson 5, when I heard all the nurses going wild and carrying on,» Robinette said. She looked through the plate-glass that was her only connection to the busy hospital and saw The Jackson 5 standing there. «They asked me which one I wanted to see, and I said I wanted to see Michael — he was the cute one,» Robinette said, laughing. Jackson was only 15. She described the teenage Jackson as obviously shy but incredibly kind and sincere. He gave her an autographed picture, held her hand and asked her how she was doing. «It had been so long since I’d touched someone not wearing gloves, and I saw hair instead of just a green cap with eyeballs peeking out,» said Robinette. After that visit, Robinette started getting better. «I would never say that he saved her life — that’s crazy — but he gave her back a little of her will to live because she had lost it,» said Trine Robinette, 49, Leslie’s sister. When Leslie was 17, she met Jackson again. The Jackson 5’s Victory Tour came to Knoxville in August 1984 for a two-night concert that was extended a third night because of its popularity. Leslie Robinette received free tickets to the concerts, and on the third night, she went backstage to meet the whole Jackson gang. She brought Michael Jackson a hand-written birthday card. «I asked him if he remembered me, and he said yes. We talked about my singing in chorus and how I was getting my back brace off soon,» Robinette said. When Robinette left Seattle Children’s Hospital three months after her first meeting with Jackson, doctors said she might live 10 years. Still struggling with her disease, she is less than 4 feet tall and weighs about 60 pounds, but she is now 42 and lives an active life. The visit was topped off with Jackson giving David the red leather jacket he had worn in the “Beat It” video and a beaded glove he had worn to the American Music Awards, where he collected eight awards. David wore the jacket and glove on the plane home, his mother recalled. “He was just in heaven,” she said. The visit must have made an impact on Jackson, too; he later dedicated the Jacksons’ “Victory” album to David. 14-year-old Donna Ashlock from California had a romantic and tragic story. The girl suffered from a heart disease, and a classmate who had a crush on her wanted her to have his heart in the event of his death. Ironically, he died from a stroke a few weeks later, and his heart was a good match for Donna. After having had the heart-transplant, Donna got a call from Michael Jackson. He had heard that she was a big fan of his. 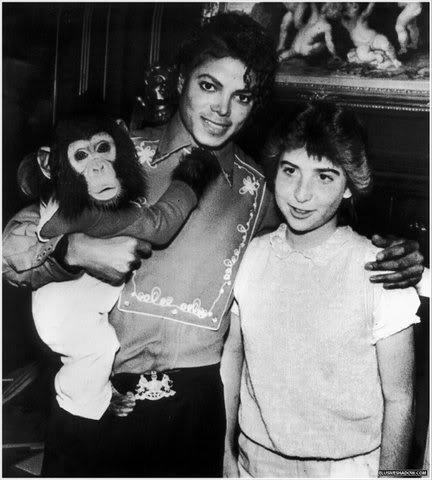 Michael invited her to his home as soon as she was feeling better. The visit took place on March 8th. Donna stayed for dinner and watched a movie together with Michael. Unfortunately, Donna’s body rejected the transplant, and she passed away three years later. In 1987, Michael Jackson meets 4-year old wounded Angela Darlington and her mother in Melbourne Children’s Hospital. I said hello. He said he was pleased to meet me. I was gobsmacked. He was very gentle and seemed shy. 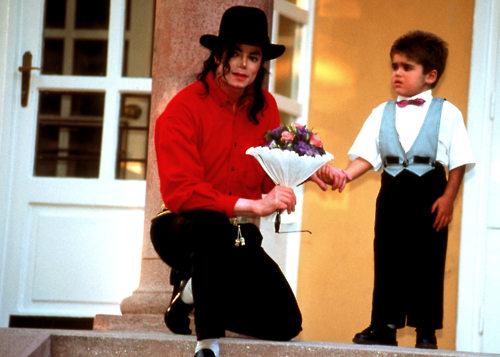 I got the sense he had a deep love for children, especially those who’d been hurt. Then he crouched down and said ‘Hello, Angela’. She couldn’t talk, because she’d just come out of a coma, but she started smiling. After that day, she started to get better. I think of him as an inspiration. We’d been having a terrible time – Angela was in hospital and I’d been ringing Lifeline to keep myself together, but he was a total inspiration for the whole ward. I thought: ‘Thank God for sending him’. He just had a presence about him – this great empathy with people who needed to get better. 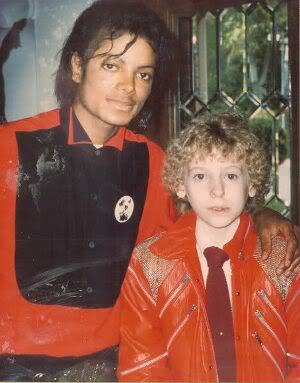 In 1989, Michael met an HIV-positive boy Ryan White. Ryan became a national symbol for HIV/AIDS in the United States after he was expelled from school because of his illness. The boy suffered from hemophilia and was infected through a blood transfusion (HIV was not widespread at that time, and donor blood was not commonly checked for the virus). Michael and Ryan became friends: they often talked on the phone, and Ryan visited Neverland ranch several times. Trips to California gave him strength to live and fight the disease. In April 1990, Ryan was hospitalized and the doctors said his chances of survival were low. Having heard that Ryan was in critical condition, Michael immediately flew to Indianapolis. Unfortunately by the time he arrived, his friend had already passed away. Michael visited White’s house to express condolences to the family. Ryan’s red Mustang — a gift from Michael — was parked in the driveway, and the CD player was paused on song «Man In The Mirror». It was the last song Ryan listened to. Michael dedicated song «Gone Too Soon» from his next album to Ryan. Nicholas Killen lost eyesight at the age of 6 after a surgery that saved his life. A rare form of retina cancer attacked the boy’s eyes one after the other. The last person Nicholas saw was his mother Susan who was allowed to stay in the operating room. At the tender age of 8, David Sonnet’s life forever changed when he suffered a brain aneurysm. While he was unable to write or talk, he could communicate through a device which helped him convey his thoughts through a specialized computer. David was granted his wish when he was invited to Neverland Ranch in Nov. of 1992. One of only four kids to go to Neverland Ranch with Make-A-Wish foundation (which was sponsored by Sony), Sonnet met his hero on Nov. 25. David was given a “Beat It” jacket from a local charity, which he wore for this special encounter. Michael came down from the second floor of his Neverland home and made a bee-line for David who was on the first floor saddled in a wheelchair. He said to the excited youngster, “I see you have my jacket on.” Because David was unable to talk or walk, although he did try getting out of his chair, the two shared an “I Love You” in sign language. David gave Michael a stuffed lion and a picture of himself. Michael told him that he would keep the photo in his room. Later David wrote to Michael on various occasions and sent him a wedding card when Jackson married Lisa Marie Presley. Michael would write back and include photos and other personal mementos. David died in 2004. Things given to him by Michael were recently sold at an auction. During their visit to a children hospital in Budapest in 1994, Michael Jackson and his then wife Lisa Marie Presley saw little Bela Farkas who needed a liver transplant. Bela was orphaned, his mother had abandoned him at birth, and the boy had no chance for recovery. 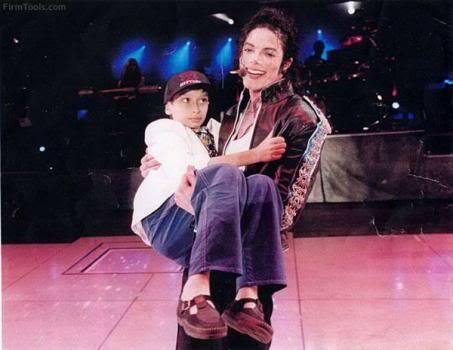 His life was saved by a surgery that Michael and his foundation ‘Heal The World’ paid for. Daniele Parisi, a boy from Latina, Italy, was diagnosed with AIDS at the age of 8. The virus was transmitted from his biological mother. Daniele was a big fan of Michael Jackson and in 1997, when he was 14, he had the opportunity to attend a concert of the HIStory World Tour in Milan on June 18. During the concert, a team member gave Daniele a gift bag including the tour program. Towards the end of the concert, during the song “Heal the World”, Michael went to Daniele who was sitting in a chair unable to walk due to weakness caused by his illness, knelt before him and filled his hands with kisses. Then he picked him up and walked to center stage posing for several photos. That 10-year-old boy, Gavin Arvizo, suffered from a severe form of cancer. He lost his kidney and spleen and went through several cycles of chemotherapy. 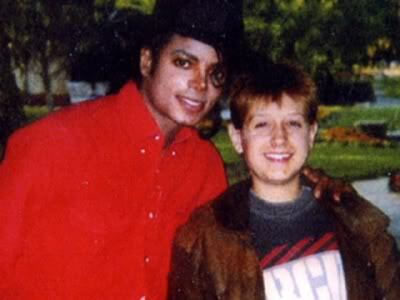 It was his last wish to meet Michael Jackson. After spending time with Michael, he was able to miraculously beat the disease. He is alive and well today; he recently got married. 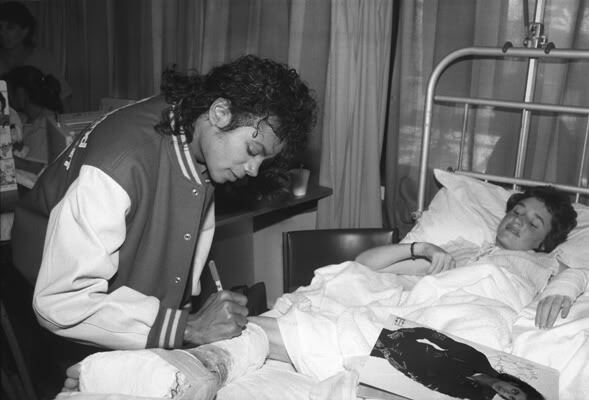 As evident from these stories, Michael Jackson was a man of exceptional kindness and empathy. But what also deserves to be mentioned in this context, is his courage. The courage to become a voluntary witness to one tragedy after another, heartbreaking scenes that a rare person is able to handle without stepping out and turning away. The courage to carry on, withholding pain and emotions, and continue doing what he considered to be his purpose in life – bringing a smiles to the faces of dying children and granting their last wish.